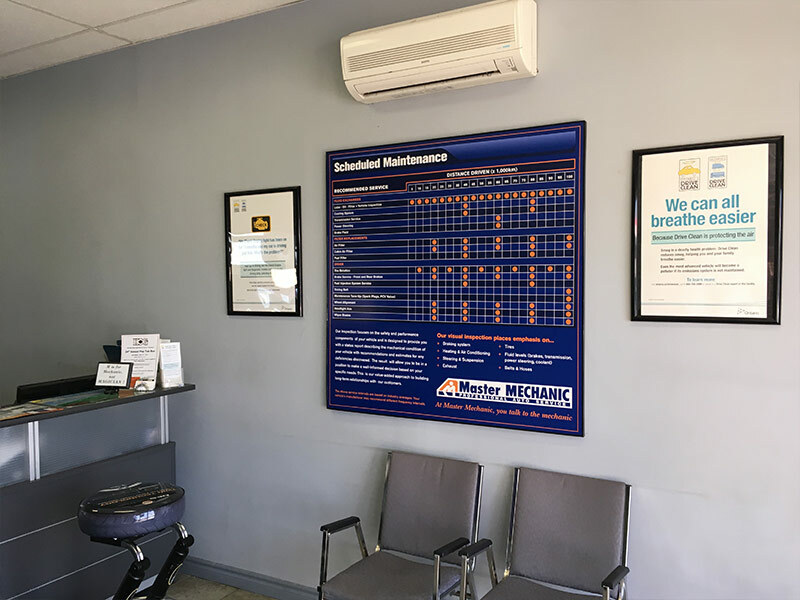 We are happy to help you get to know your local Mississauga Meadowvale Master Mechanic store! We promise to do our utmost to deliver our professional service in a very personalized manner. We pride ourselves on being an honest and trustworthy automotive shop in your community and providing you with transparent and upfront service every time. We thank you for wanting to learn more about us and invite you to visit us any time! We strive to be your first auto repair and maintenance choice in the Meadowvale area through the consistent delivery of outstanding service and quality work in an environment which promotes trust, fairness and respect. It is this dedication that differentiates us from our competitors as we continually strive to deliver an outstanding customer experience to each one of our satisfied customers. Our store is independently owned and operated by Mark Davie, your local Master Mechanic. Mark and his team's dedication to our local promise differentiates us from competitors as we treat all of our customers as neighbours and friends. We look forward to seeing you! "Michele Martin I've been going to this location for over 15 years. Mark and his team of professional mechanics have always accommodated my hours and provided unparalleled service. I highly recommend them!" "I have been coming to Master Mechanic for over 6 years and they have always been friendly, helpful and honest. Never selling me services or repairs that I either don't request or need and with a 12 year old car it would be easy to do just that. I have and..."
Always friendly, helpful & honest, Thanks for the years of great service! "I have been coming to Master Mechanic for over 6 years and they have always been friendly, helpful and honest. Never selling me services or repairs that I either don't request or need and with a 12 year old car it would be easy to do just that. I have and will continue to recommend this shop to others. Thanks to the entire team!" "I've been going to this location for over 15 years. Mark and his team of professional mechanics have always accommodated my hours and provided unparalleled service. I highly recommend them!" "Honest and professional guys always happy to help." "Good old fashioned service with a smile. I have been a customer for over 15 years! Always accommodate to my schedule and definitely helps that they are local. Keep up the good work!" "Friendly and honest mechanics! They took my car in right away after CAA towed me there. Within the hour it was repaired and I was off to work again. No non-sense and a pleasurable customer experience. I would highly recommend them anytime." "Have never had any issues whatsoever. They are extremely friendly, quick and efficient! Would recommend highly." "Overall a good experience. Friendly and quick service." "This morning on her way to work, my wife's heat shield came loose on her 2006 Acura. I told her to take it to master mechanic we always use in Meadowvale. Not only did Craig greet her promptly, he took the car in right away and then did not charge her...in and out in a few minutes. This is why we will continue to use and recommend mark and his staff at Master Mechanic." "Once again my “hero” mechanic to the rescue. I lost a good earing between the driver’s seat and door. Mark retrieved it in no time. 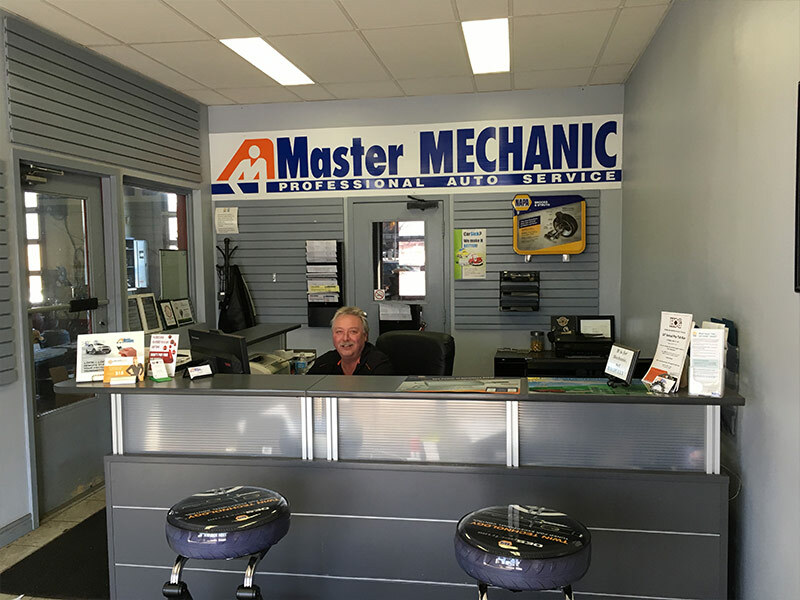 Mark and Master Mechanic in Meadowvale are the best!" "I just want to thank you for taking such good care of me and my car in these past few weeks. Whether the emergency replacement of the alternator without an appointment, or the similarly short notice and desperate plea to replace my timing belt, or most recently, the oil change with the no-charge tire pressure check, your team has kept me on the road when it counted. (Which it pretty much always does, doesn't it?) Always on time, on budget and working in my best interest, your team has kept me mobile, safe, informed and most importantly, made me feel like a valued customer. For all that, I wanted to take a moment to thank you." "Thank you for your expertise and sparkling personalities! Have a wonderful Easter weekend. " "Thank you so much for helping me with my Neon a few weeks ago. I truly appreciate how easy going and friendly you both were and even though I don’t know much about cars, you were able to explain things in a way I could understand. I also want to thank you for fixing it so quickly and for driving me to work. Enjoy the homemade chocolates. " "From a Christmas card that read!for rescuing damsels in distress, have a Merry Christmas. " "To Mark and all the guys at Master Mechanic. You are the best! Have a great Christmas season and best wishes for the new year from your friends." "To the gentlemen at Master Mechanic, have a wonderful holiday and happy new year! Thank you for taking care of our vehicles all year." "Thank you for taking the time (on a busy Saturday) to check my tire and ease my mind in driving my car around. It means so much to know you and the gentlemen at Master Mechanic care so much about your customers. Enjoy the chocolates! " "I did want to let you know that Mark, Dustin and the rest of the guys at Master Mechanic will always have my business and I do not hesitate to recommend them to my friends. Last Fall, My 2001 Chevy Tahoe’s air conditioner condenser decided that it had enough. Mark fixed the problem and brought it back to life. As the repair was late in the Fall, I didn’t use the AC again until late April when the weather got warm. You guessed it!the AC would not work. While my car was in at MM to have my summer tires put back on plus my normal maintenance (we follow the GM manual), I had thoughts that most people have!Where did I put the receipt? How long would the warranty be good for? Should I roll up my sleeves on the way in or wait until they give me the bad news? I am sure happy that I didn’t embarrass myself on the way in! Mark, Dustin and John were most concerned about finding the problem and getting it fixed. I know it wasn’t their fault and I understand they invested considerable time in making it right. It is so refreshing to see a company that stands behind their work. It is a wonder that I have to book my appointments a week in advance because they are so busy. These guys really know what customer service is all about. Thanks for being a part of a company that cares. " "Thanks, Mark, for all your expertise in keeping my car in good shape... and for the special way you give..."
"I must say that you are the best car service specialist I have ever had! Every time I get either one of my cars back from you after servicing, I feel like I’m driving a new (used) car. That’s how safe I feel. It’s a credit to the quality of work you do, but more importantly, it’s a credit to your customer care...Thank you Mark and to your staff as well." "My family and I have been using your auto services since 1988 and I cannot forget the enthusiasm and positive attitude of your team...we have the confidence and comfort to recommend others to you. We thank you for your customer service and...doing the little things right."